Peshawar : Shiite Muslims attend a Muharram procession, in Peshawar, Pakistan, Thursday, Sept. 20, 2018. Muharram, the first month of the Islamic calendar, is a month of mourning in remembrance of the death of Hussein, the grandson of the Prophet Muhammad, at the Battle of Karbala in present-day Iraq in the 7th century. 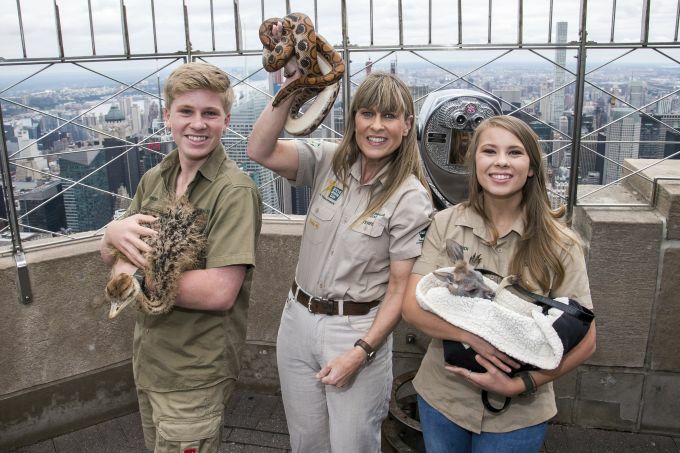 New York: Robert, from left, Terri and Bindi Irwin visit the 86th floor observation deck at the Empire State Building to promote their new Animal Planet television show "Crikey! It's The Irwins" on Thursday, Sept. 20, 2018, in New York. 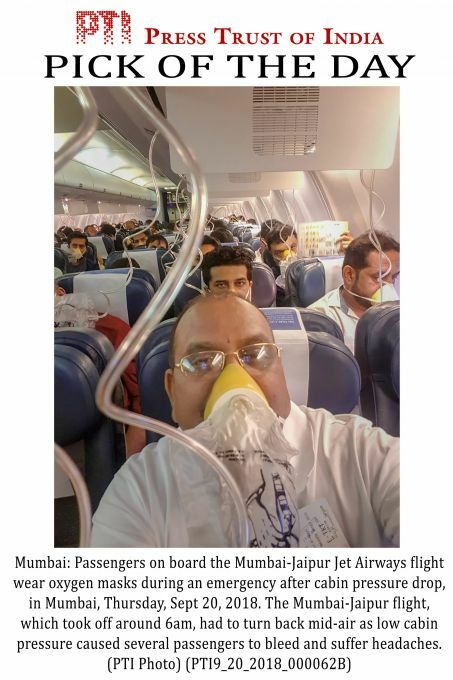 EDS PLS TAKE NOTE OF THIS PTI PICK OF THE DAY:::::::: ** BEST QUALITY AVAILABLE** Mumbai: Passengers on board the Mumbai-Jaipur Jet Airways flight wear oxygen masks during an emergency after cabin pressure drop, in Mumbai, Thursday, Sept 20, 2018. The Mumbai-Jaipur flight, which took off around 6am, had to turn back mid-air as low cabin pressure caused several passengers to bleed and suffer headaches.